8 Things All Veterans Should Know about the Court of Appeals for Veterans Claims. 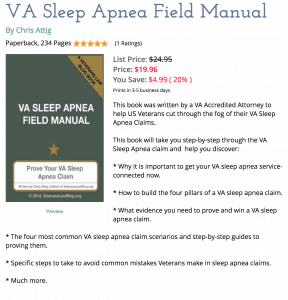 What is the Court of Appeals for Veterans Claims and how is it different from the BVA? In today’s post, I will tackle the first part of that question: what is the Court of Appeals for Veterans Claims. What is the Court of Appeals for Veterans Claims? 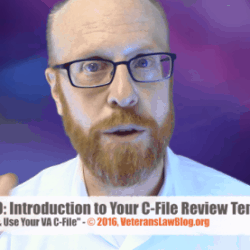 So, the VA Claims Process has 3 general steps…loosely based on the concept that Veterans are entitled to “due process of law”, as a Veterans Title 38 benefits are a Constitutionally protected property right. The Court of Appeals for Veterans Claims was created in 1988 – the idea was that Veterans were entitled to judicial review of decisions of the Board of Veterans Appeals. The Court has “exclusive jurisdiction” over decisions of the Board of Veterans Appeals (BVA) – this means that you can’t go to any other court to appeal the BVA decision. The Court consists of 7 permanent/active Judges, who serve for 15 year terms. The Court’s decision is based on the “Record Before the Agency” and the arguments of the VA attorney and the Veteran or his/her attorney. 8 Facts Every Veteran should know about the Court of Appeals for Veterans Claims. Fact #1: There are several possible outcomes of a CAVC Appeal. Many Veterans think that they will win their claim outright at the Court of Appeals for Veterans Claims (CAVC). While this is a possibility, it is not a common occurrence at the CAVC. * Dismiss: when the Court believes it does not have jurisdiction, or in other more limited situations, it may dismiss the appeal outright. * Adjudicate: When it has jurisdiction, and does not need to remand, the Court of Appeals can either grant or deny the benefits sought. By far the most likely outcome is that the Court of Appeals for Veterans Claims will remand the claim back to the Board of Veterans Appeals (BVA). In fact some 75% – 80% of CAVC Appeals are remanded back to the BVA to correct an error. Fact #2: There is no jury trial. There is no point in the VA claims process where you are entitled to a trial by jury. That’s ironic – soldiers fight to defend the Constitution, and the Bill of Rights provides for trial by jury…except for Veterans. Instead, your appeal will either be decided by a single-judge, or a panel of judges. Single-judge decisions are used in cases that are non-precedential – meaning generally that they do not create new law. Panel decisions are typically used in cases where the decision of the Court of Appeals for Veterans Claims will have an impact beyond the current case. Full Court decision are precedential, meaning that the BVA and the VA Regional Office are bound to follow them (at least in theory). Fact #3: There is no Discovery. 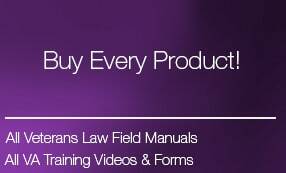 In traditional litigation, each party has the opportunity to use a tool called “discovery”. Discovery is a powerful tool that litigants in state and federal courts can use to “discover” information about the case that the other party has. Most Veterans appeals would end fairly quickly if the Office of General Counsel had to produce VA doctors and raters to be deposed about their opinions. But alas, that option is never available in a Veterans Benefits claim. Because we maintain the fiction that the VA Claims process is “non-adversarial” and someone out there instituted the myth that discovery is an “adversarial tool” – in reality it is not an adversarial tool, and in reality the VA Claims Process is far too often an “adversarial process”. Nothing adversarial about that, right? Moving on, there are 3 major sets of “evidence” that you can – and should get from the VA in your appeal to the Court of Appeals for Veterans Claims. c) the RBA, or Record Before the Agency. The RBA will be sent to you – typically on a CD-R – by the Office of General Counsel attorney representing the VA at the Court of Appeals for Veterans Claims. Fact #4: The VA will have an attorney. Wait, I thought this process was supposed to be non-adversarial, you ask? Well, not at the Court of Appeals for Veterans Claims. The VA is entitled to an attorney to defend its position in the Veteran’s appeal at the CAVC. This is the first stage of the claims process where the VA will be – openly -represented by an attorney. While I can honestly say that I have enjoyed working with a few of the VA’s attorneys at the CAVC, the VA attorneys in the Office of General Counsel are not your friends – they represent the government’s interests and not yours. For that reason, it is always a smart idea to consider having an attorney represent you before the Court of Appeals for Veterans Claims. My law firm – the law firm of Attig | Steel – focuses its work on representing veterans at the CAVC and the BVA. If you receive a BVA decision denying your appeal (and in some cases vacating or remanding your appeal) consider contacting my law firm. Fact # 5. You can hire an attorney. It is important for you to know that the industry standard is that attorneys do not charge Veterans up-front fees for representation at the Court of Appeals for Veterans Claims. 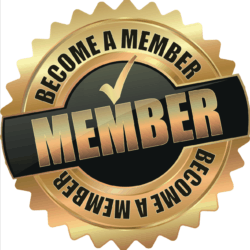 The attorneys typically petition the CAVC to have the VA pay the attorney’s fees, under the Equal Access to Justice Act (EAJA) if the Veteran is a “prevailing party” at the CAVC. As for costs, different attorneys have different arrangements, and an attorney is permitted to ask you to repay reasonable costs from the appeal to the CAVC. Fact #6: Most CAVC Appeals are often concluded in a few short months. Most cases in which the VA and the Veteran agree to a “Joint Motion to Remand” can be concluded in 6-12 months. I believe a couple years back that the Court of Appeals for Veterans Claims published its “average timeline” from filing to mandate (fancy medieval lawyer word signifying the ‘end of your appeal’) is somewhere around 254 days. Fact #7: The Court will charge you a Filing Fee. There is a filing fee for the Court of Appeals for Veterans Claims. It is currently $50, but you can have it waived for financial hardship. The Court has a form to assert “financial hardship” on its website. Many law firms will advance the filing fee to their client as part of the attorney-client agreement covering representation before the Court of Appeals for Veterans Claims. Either way – don’t neglect to pay the fee. A good number of cases that the Court dismisses involve Veterans that did not pay the filing fee. Fact #8: Settlement and the Rule 33 Briefing Conference. Technically, the VA cannot “settle” VA disability benefits claims. However, before the appellant’s principal brief is due, the Central Legal Staff at the Court of Appeals for Veterans Claims will hold a “Briefing Conference”. At the Briefing Conference, the attorneys for the Veteran and the VA will discuss the substance and major issues in a claim. If the parties agree that the VARO or BVA made an error, they will often agree to a JMR – Joint Motion to Remand. If they do not agree that there was an error, the Appellant’s next step will be to file an appeal brief. Fact #9: The Court of Appeals for Veterans Claims (CAVC) has no courthouse of its own. The court room pictured in the image is not the Court of Appeals for Veterans Claims. 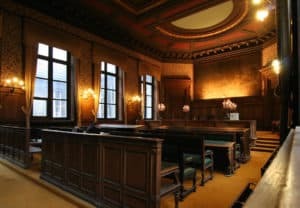 It is a Court room in the Palace of Justice in Brussels, and I used it because I find it to be a very pretty courtroom. Without the windows, it would remind me of the Texas Supreme Court where I once served as a law student clerk to the Chief Justice. I find it ironic that Congress loves to tout its special affinity for veterans, and how it’s created this pro-veteran claims and appeals process for us. But they will not allocate the budget for the CAVC to have its own Courthouse?! Call your Congressman – ask them to allocate funds and a building for the CAVC to have its own courthouse. What do YOU Want to Know about the Court of Appeals for Veterans Claims? That’s some real basic info. What would YOU like to know about the Court of Appeals for Veterans Claims? Send me your questions by clicking on the neon green button floating in the bottom right corner of your screen. My appeal is over 365 days old. Is this normal? Without knowing what stage the appeal is at (DRO Appeal, BVA appeal, CAVC appeal), 365 days is not at all unusual. The average wait time, by way of example, for a BVA Hearing is 2 years and 3 months.